At Stevenson Valuation Group, we are here to assist CPA Firms and other professionals that render similar types of services but may not feel that they have the expertise required for a valuation engagement. Just as your clients trust you, we want you to trust us. We do not compete with for the traditional services offered by your firm and we will never encroach on one of your clients. Our business depends on your trust. With significant experience in business valuation, Valuation Solutions provides either a technical or an administrative review of your business valuation report. When you need another set of eyes to make sure that your reports are in conformity with generally accepted valuation standards, or if you just want to feel better about the conclusions that you have reached, we are here to assist you. Stevenson Valuation Group wants to be your resource for clients where you have a conflict of interest. In addition to dealing with Sarbanes-Oxley and AICPA Ethics Interpretation 101-3, there are times that your firm may lose its independence with respect to the client if you perform valuation services for it.There may also be times that as the tax return preparer, it just makes sense to not be the valuation analyst signing the valuation report as well. In those instances, let us assist your client by providing the valuation service. 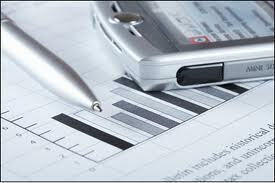 We do not compete with your firm for traditional accounting services and we are independent. Stevenson Valuation Group can assist you by performing a valuation for your client and provide you with a plain paper copy that you can copy onto your firm’s letterhead.We offer a complete range of valuation services. Our detailed valuation report is designed to provide an unambiguous opinion on the value of a business or security. It is supported by all procedures that the appraiser deems to be relevant to the valuation. A valuation engagement may also result in a summary report in those instances that the client does not need to have a detailed report. In both of these assignments, a full valuation is performed. The only difference is the extent of the report.A calculation engagement is a lower level engagement where we provide an approximate indication of value based on the performance of limited procedures agreed upon by the appraiser and the client. To help you determine the appropriate level of analysis, we can provide complete samples of the various types of reports that we can prepare for you or your clients.All of our reports comply with Statement on Standards for Valuation No. 1, promulgated by The AICPA.